Our Montana divorce page is a one-stop resource where you can get the state-specific divorce help you need. You'll be able to read an overview of the main state laws on dissolution of marriage and find the support services you need. You can also find a qualified lawyer to handle you case or download divorce forms if you decide to handle everything yourself. To figure out the amount of support that would normally be ordered in similar cases, there are options to access the child support guidelines packet which includes worksheets, financial affidavits, and instructions for completing everything. You'll also get information on parenting classes, divorce recovery groups, and domestic abuse services throughout the state. 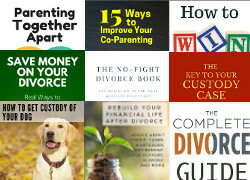 If you need additional advice and support, you can also read through our various articles on getting a divorce, handling custody and support issues, learning how to cope with the emotional fallout, and more topics in our divorce articles section. Divorce in Montana is called "dissolution of marriage." What are the Montana residency requirements for divorce? To file for a divorce in Montana, you or your spouse will need to be either a resident of or stationed in the military in Montana and have lived in the state for no less than 90 days prior to filing for the dissolution of marriage. Where do you file for divorce in Montana? A petition for the dissolution of marriage is filed with the county district court where either spouse has residence. The respondent has 20 to file an answer to a response, and a decree may not be entered until 20 days after the petition has been served. Is there an easy way to get divorced in Montana? Unpaid, unsecured debts (either owed solely or jointly) incurred after the marriage do not total more than $8000. Both spouses have read and stated they understand the contents of the summary dissolution brochure. Is legal separation recognized in Montana? You can file a petition for legal separation instead of a divorce, unless your spouse objects. A decree of legal separation may be converted to a Dissolution of Marriage after 6 months have passed upon the motion of either spouse. While a divorce or legal separation is pending, either spouse may request temporary alimony, child support for a child of the marriage, or family support. A couple may also enter into a written agreement detailing the division of assets, custody provisions, and visitation for children of the marriage. 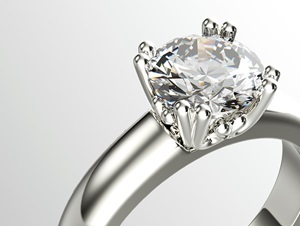 What am I entitled to if we divorce? Will I be able to get alimony? The legal term for alimony in Montana is "Maintenance". Either party may be awarded alimony if the court determines the dependent spouse lacks the property, resources, or employability to be self-supporting. The court may also consider how long the parties were married, the standard of living established during the marriage, whether it would be appropriate for the custodial parent to work outside the home, the amount of time it would take to receive training to become employable, the age and physical capability of the dependent spouse, and obligated spouse's ability to pay support. Maintenance generally ends when the dependent spouse remarries or if either party dies, unless agreed to otherwise. Can I revert to my maiden name? You can request the restoration of your maiden name or a former name in you divorce papers. This makes changing your name after divorce (if you choose) easier. 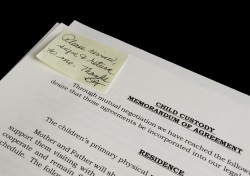 Instead of using the terms "custody" and "visitation", the court now uses the terms "Parenting" and "Parental contact" in reference to issues concerning children of the marriage. For the court to have jurisdiction over these issues, the child must have been a resident of the state for at least 6 months prior to the proceedings. If it appears there will be continuing amendments to the parenting plan due ongoing conflicts between the parents which would adversely affect the child. The court takes into account the income and financial resources of each parent; the child's age, financial resources, medical needs, and cost of daycare; the needs of any other person a parent is obligated to support, and the standard of living established during the marriage when determining the level of child support. You can read through the uniform child support guidelines for Montana for more information on how support is determined. The support obligation continues until a child becomes emancipated or graduates from high school, but not past the child's 19th birthday, unless the parents agree otherwise. Child support payments are to be made by wage withholding unless the court makes a written exception. The amount of support to be paid may be modified in the future if the parents mutually agree or there is a significant change in circumstances. Montana also requires that all orders for child support also include conditions for medical support for a dependent child of the marriage. Qualified Domestic Relations Orders - By using the online QdroDesk™ service, you can have your QDRO prepared accurately for court approval. You'll also get all the supporting documents needed for proper execution and submission to the plan administrator. Missoula YMCA - Support Groups for Adults and Children. The YWCA provides a safe space for women to begin healing from domestic abuse while being surrounded by others who understand what they have experienced.